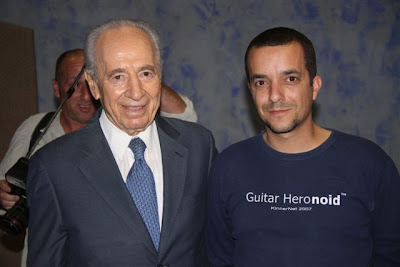 Israeli President Shimon Peres visited the city of Holon. 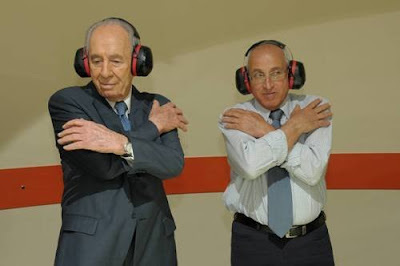 The president was meeting with high school students, visited the "Invitation to Silence" exhibition at the Childrens Museum, and met the GarageGeeks and Dr. Yossi Vardi at the MediaTheque . 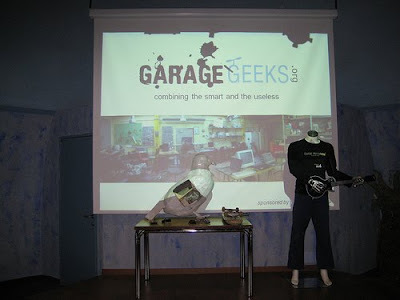 GarageGeeks member and Feng-GUI CEO, Rafael Mizrahi, presented to the president's staff about of the underground high-tech scene and creative activities in Holon and Israel.